Like most boys, they’re fascinated with the tanks, helicopters, heavy military equipment, military uniforms and of course the Civil War cannon demonstration. My wife’s father fought in the Vietnam War so this year we look forward to seeing ‘The Moving Wall: Vietnam Veterans Memorial,’ which is a half-sized replica of the National Vietnam Veterans Memorial that’s in Washington D.C.
Before the day wraps up we make sure to head inside the museum to play with all the interactive exhibits like the digital shooting range and the parachute drop. The Soldier Experience exhibit takes you through our Army’s history from the Spanish-American War to our present involvement in Afghanistan. You experience the exhibit as a soldier. 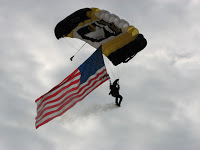 The Army Heritage Days is a great family friendly event. We never leave without a renewed appreciation for all of the men and women who have fought for our freedom and safety. One of my favorite events in Cumberland Valley is Summerfair. 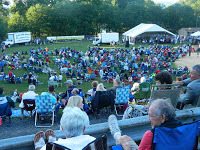 What began as a free community celebration to help residents celebrate the Fourth of July holiday despite the high gas prices of the late 1970’s has since morphed into a ten-day highlighting the community assets, hidden treasures and cherished attractions in Carlisle and the surrounding towns. Summerfair includes a TON of activities; so many that they had to create their own website to list them all! Some of the highlights are the ice cream social, kid’s activities, Jim Thorpe track meet, guided walking tours, annual musical, outdoor movie, tractor twang, and fireworks. Best of all, they are all free! Two events that I’d like to highlight during this time frame are the Anything Floats race and the Harrisburg Symphony Orchestra performance. 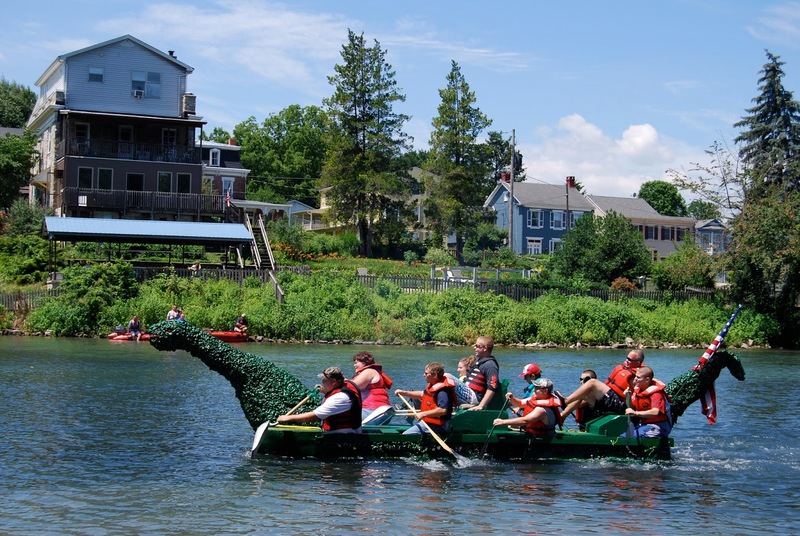 The Anything Floats race is just as it sounds – a race across Boiling Spring’s Children’s Lake in homemade boats (I’m using boats liberally here). It’s so fun to see what each team has created and watch them frantically paddle, or in some cases, swim, across the lake. The Harrisburg Symphony Orchestra is hands down my favorite summer event in the Valley. The event takes place on Rush Campus at historic DickinsonCollege. HSO plays a selection of patriotic songs, as well as some well-known pieces and scores they are performing that season. Everyone brings their lawn chair, buys an ice cream cone, and enjoys the twilight performance. Part of this annual tradition is playing the songs from each of our five military branches and asking servicemen and women to stand to be recognized. It’s a highly patriotic event and really brings the feeling of community to life. 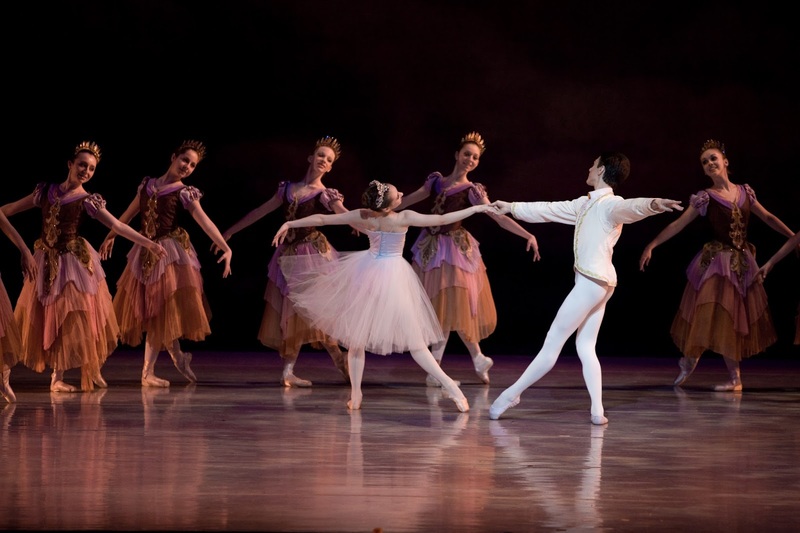 Every June, the young dancers at the Central Pennsylvania Youth Ballet perform a collaboration of new works by today&apos;s notable choreographers with classics and audience favorites from throughout the years. I am always impressed by the dancers from the Central Pennsylvania Youth Ballet. Their performances are top-notch and professional, you can tell they work very hard! This year the June series runs June 14th-17th and includes Hineline&apos;s Juxebox. My absolute favorite place to enjoy a good concert is at Lemoyne’s Negley Park – a quiet neighborhood park with a ball field, tennis court, swings & such for the kiddos, a dog walking loop trail, 2 pavilions for picnicking, and lots and lots of couple-bench swings. All of this overlooks the Susquehanna River and provides the majestic views of the Harrisburg Skyline. Just once a year, the local community comes together to raise the funds necessary to bring the Harrisburg Symphony Orchestra to Negley Park – 1 of five outdoor concert series available in the area – as a way to expose youth and families to the great sounds of our top notch orchestra. While it&apos;s hard to pick one event, let alone one car show, I had to choose Corvettes at Carlisle. The &apos;Vette is one of the most distinguishable cars in the world and over 5,000 of them come to Carlisle the last week of August for several days. Not only can you find some of the newest Corvettes on the market, you&apos;ll also see a number of classic ones, including the 50th Anniversary of each Corvette (this year honors 1966). This show begins August 24th and runs through August 27th. 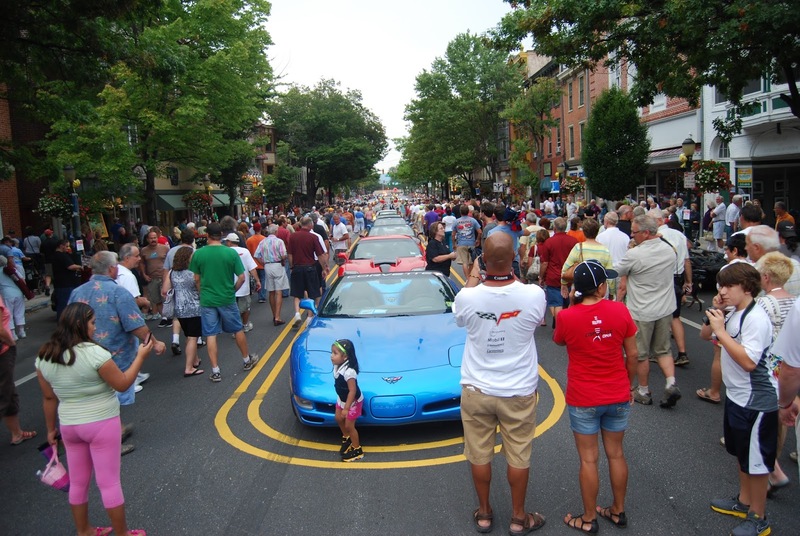 On Saturday, August 26th, the streets of downtown Carlisle will be flooded with these awesome cars in the Corvette Downtown Parade. Well, the countdown to Summer-time in Cumberland Valley has begun and thank goodness because warmer temps and more sunshine go hand in hand with my favorite Summer event. 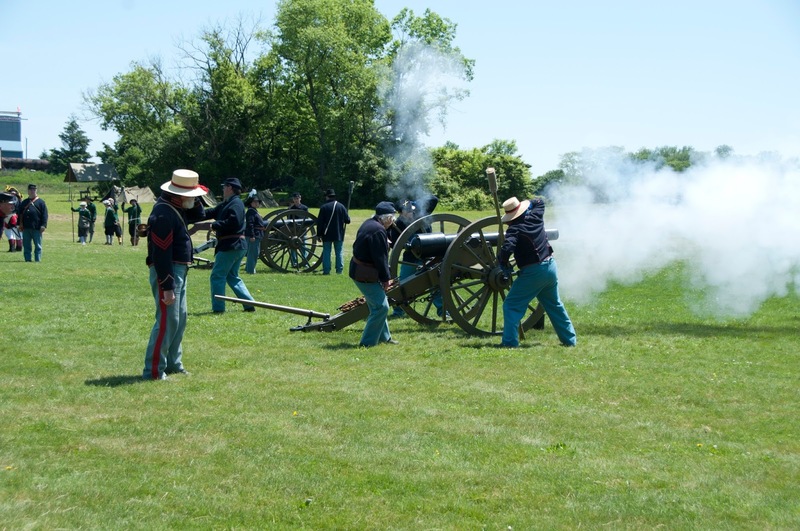 Cumberland Valley is dotted with several picturesque towns and Boiling Springs is one of my favorites and the sight a top event for me to attend each year, Foundry Day. This one day Arts & Craft Festival held in early June, Saturday the 3rd this year to be exact, showcases a wonderful mix of artisans displaying their one of kind crafted pieces from jewelry, woodworking, paintings and more for attendees to view or purchase. I’ve enjoyed the Foundry Day with my mom, sisters and now my daughter joins me in my search for one of a kind jewelry pieces which I tend to have a weakness for. I’ve also been seen walking the festival with larger hand- made (either wood or wrought-iron) items by friends I happen to bump into. It’s a great event that makes my calendar every year rain or shine. Each year, I always look forward to attending Foundry Day in Boiling Springs on the first Saturday in June. It’s a great way to kick off the start of the summer season and to do some serious shopping. This is not your typical arts & crafts show. About 100 juried vendors line the streets of downtown Boiling Springs and they offer an incredible variety of exceptional handmade items. My favorite booths offer jewelry, photography, and pottery, but visitors can also find artisans selling furniture, woodwork, fine art, dried florals, and other unique treasures. After spending several hours browsing the booths, the mouth-watering food will not disappoint. 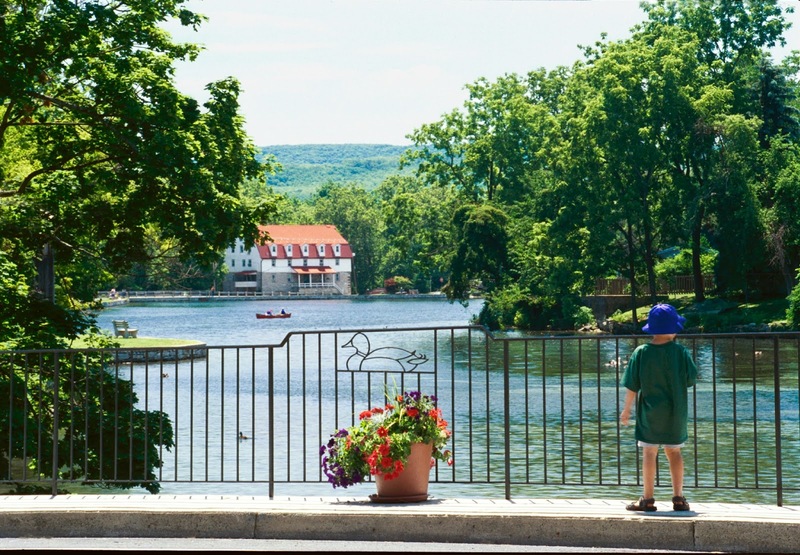 From funnel cakes and venison burgers to apple dumplings and kettle corn, you can indulge and then walk it off by taking a leisurely stroll around Children’s Lake. On the east side of the lake, children will enjoy a number of activities hosted by the Appalachian Trail Conservancy. A little bit advice for the first-time visitor: plan to park at Boiling Springs High School and take the shuttle; wear comfortable shoes – you will be doing a lot of walking; dress appropriately – this event is held rain or shine.